We provide a technical and managerial consulting service dedicated to servicing the mining industry. We have identified that our clients need technical skills and our employees want variety and flexibility. We answer the needs of the mining industry. For clients, we provide a wide range of services from recruitment and labour hire, hydraulic mining, temporary design assignments, to full project management. We have skilled professionals who can step into any part of a mine life-cycle. Whether it’s the civil infrastructure or production expertise you’re looking for, we work closely with our clients to identify their needs and offer a solution. 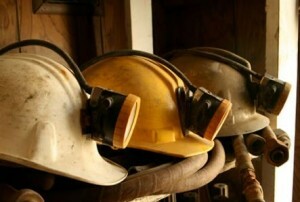 We understand the diversity of the mining industry. We work with our clients to provide a cost effective solution for every need our client has where a skilled technical professional can add value. Our people are well recognised in the industry and we attract high calibre people. We do this by ensuring their continued professional development. Our people work autonomously under a structured mentorship program – allowing them to always deliver high results. All our programs are individually designed and draw on senior technical staff whilst focusing on being commercially driven. We believe taking this approach to employees will always make our consultants critical to the success of any project they undertake. Relevancy, deliverables and commercialism are our core values.